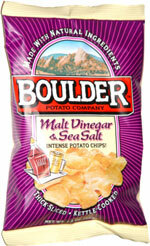 Taste test: These are good vinegar chips, with the crisp, kettle-cooked style that other Boulder chips have. 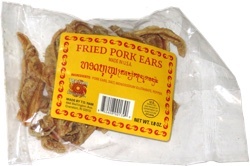 They have a nice crunch and some good and tasty vinegar zing. Smell test: Strong vinegar zing. This snack was discovered by Mary. Review published .